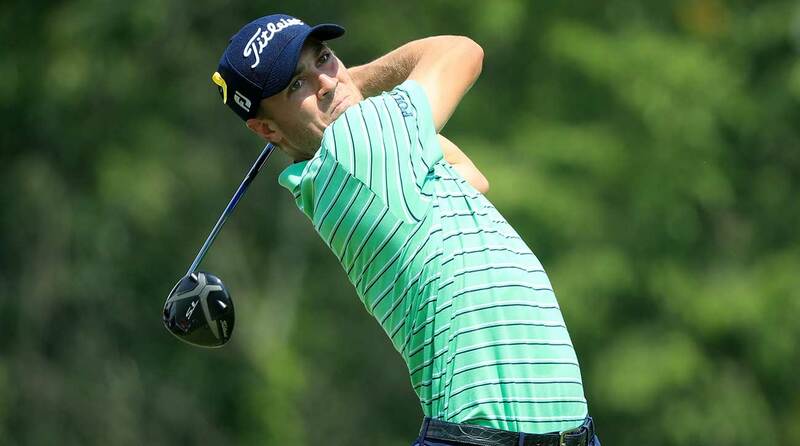 AKRON, Ohio (AP) — Justin Thomas took all the drama out of the final World Golf Championship at Firestone, never letting anyone closer than two shots and closing with a 1-under 69 to win the Bridgestone Invitational for his third PGA Tour title this season. Sweeter than capturing his first World Golf Championship was the sight behind the 18th green Sunday. His grandparents, Paul and Phyllis Thomas, watched him win for the first time on the PGA Tour. Paul Thomas was a career club professional and played at Firestone in the 1960 PGA Championship, missing the 54-hole cut. His son, Mike Thomas, also is a career club pro in Kentucky and a former PGA of America board member. “I got a little choked up when I saw grandma and grandpa over there,” Thomas said. “It’s really cool. They don’t get to come out very often.” They saw a one-man show. Playing in the final group with Rory McIlroy, the 25-year-old Thomas made only two birdies. That was all he needed on a day when just about everyone within range was making all the mistakes. Justin Thomas won the WGC-Bridgestone to claim his first World Golf Championships title.